Ever interested in ways to encourage more attendance at its concerts, and in an atmosphere that encourages post-performance discussion, the Boston Symphony Orchestra in mid-January is inaugurating a new three-concert subscription series, “Underscore Fridays.” Starting at 7 pm, each concert will include comments of that evening’s pieces by the guest conductor and will be followed by a complimentary food-and-drink reception in Higginson Hall. Two of the concerts will be shorter, intermission-free versions of the already scheduled concerts of that particular Thursday-Tuesday schedule, although the third will be the regular full-length concert, with intermission. The dates for “Underscore Fridays” are January 14, February 11, and March 25. The initial concert, on January 14, to be conducted by Sir Mark Elder, will feature Frederick Delius’s Paris: A Nocturne (The Song of a Great City), Richard Strauss’s Till Eulenspiegel’s Merry Pranks, and the Mozart Piano Concert No. 21, with guest artist Lars Vogt. 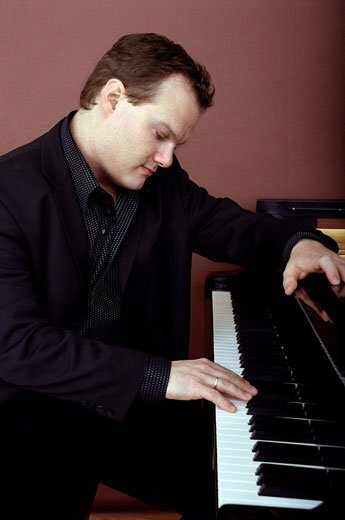 Vogt, born in Germany in 1970, won second prize at the 1990 Leeds International Piano Competition and has since gone on to give major concerto and recital performances throughout Europe, Asia, and North America. He enjoys regular partnerships with colleagues such as Christian Tetzlaff, Sir Simon Rattle and the Berlin Philharmonic, and bass-baritone Thomas Quasthoff. Vogt also collaborates occasionally with actor Klaus-Maria Brandauer and comedian Konrad Beikircher. His previous performances with the BSO at Tanglewood included the Beethoven Piano Concerto No. 5 on Aug. 6, 2006, and, during the regular season, the Beethoven Piano Concerto No. 3, on Oct. 18-20, 2007. For the February 11 concert, Finnish conductor Susanna Mälkki will share her observations on that evening’s program of Haydn, Sibelius, and Unsuk Chin’s Cello Concerto, in its American premiere with Alban Gerhardt as soloist. Mälkki conducted the BSO at Tanglewood this past summer in a program of Mendelssohn and Beethoven. On March 25, conductor, composer, and pianist Thomas Adès will make his highly anticipated BSO debut in a program of music inspired by Shakespeare’s The Tempest, including works by Tchaikovsky and Sibelius as well as music from Mr. Adès’ own opera of the same name. The Thomas Adès program will be a full-length BSO concert, approximately two hours, including intermission. For more information visit the BSO’s website , or call the Access Services Administrator at 617-638-9431 or TDD/TTY 617-638-9289. As a BSO subscriber for 38 seasons, I think the 3 Underscore Fridays is an interesting concept which has proved successful in New York and other major cities. 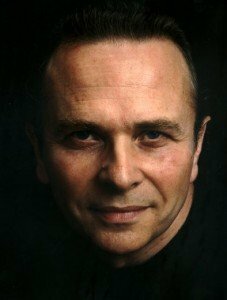 The prospect of attending a concert led by Sir Mark Elder is thrilling. His many recordings with the Halle Orchestra and other ensembles are revelatory to the point that one feels he/she is hearing even familiar works for the first time. The 2 remaining concerts conducted by the supremely gifted Susanna Mälkki and the exciting Thomas Ades may also prove to be high points of the BSO season. I find it most interesting that many of the greatest conductors today are relatively unknown by the general concert going public: Yannick Nezet-Sequin, (Lucky Philadelphia Orchestra). Vasily Petrenko (he’s made the Royal Liverpool Philharmonic..the UK’s greatest orchestra). Boston’s Discovery Ensemble’s brilliant Courtney Lewis and former BSO assistant conductor, Ludovic Morlot, all share similar gifts: amazing interpretive skills combined with inducing commited and enthusiastic playing by the musicians who clearly adore every minute of music making under under such inspired leadership. Recent PBS TV performances by New York and Los Angeles Philharmonic Orchestras are a perfect example of media hype etc. to convince audiences that these music directors, Alan Gilbert and Gustavo Dudamel are the only true giants among conductors…. The truth is that both gentlemen have zero interpretive gifts… the result is performances that are so lackluster and boring that one finds it difficult to stay awake. Agreed that Dudamel is carismatic, extremely charming in every way and is exciting to watch… but music must be brought to life. Fast tempi and and loud climaxes alone won’t do this. A great discovery on You Tube was a video of Nezet-Seguin + Rotterdam Philharmonic live performance on 12/21 of the complete Nutcracker..undivided into short segments in the usual You Tube manner. This performance had me alternating between being close to tears at times due to the beauty of the interpretation and ready to jump out of my seat at the sheer, gut wrenching excitement of the intensity. Yes, it was as if I was truly hearing this masterpiece for the first time! This is what great music is all about… INTERPRETATION ….not just playing the notes!